No Mushroom Kingdom adventure is complete without Mario's loyal friend, Yoshi, a long-range specialist who belongs behind the front lines where his egg-splosions deliver a power-packed punch from afar. A crucial member of the team, Yoshi also loves fruit. RUMBLEBANG: Just like Rabbid Yoshi, Yoshi uses the Rumblebang. This dangerous mid-range, gatling-like weapon deals a variable amount of damage, which can be not only below but also widely above the average firepower, leaving the enemies with no choice but to hide. ROCKET: When enemies think they are safe behind full cover, Yoshi crushes their hopes with a Rocket launcher, which deals area damage and destroys all nearby covers. EGG BEATER:Yoshi is famous for being able to shoot eggs with stunning precision, leaving no margin of error to enemies. The Egg Beater technique grants a react ability, allowing Yoshi to shoot at any moving enemy with a Rumblebang, no matter the turn. SUPER CHANCE: Yoshi can overthrow any battle’s balance. With the strong supportive ability Super Chance, Yoshi enables every nearby hero to have a 100% chance to activate their weapon’s super effect and unleash a strong demonstration of firepower. GROUND POUND: Yoshi is a party crasher! Literally. With Yoshi’s special movement ability, you can jump into the middle of a fight and destroy almost everything within the landing area, be it enemies or covers. THE BARREN SPELL - ROCKET X MAGNET DANCE X EGG BEATER: Leverage this devastating combo to put your enemies in a precarious situation. First, use your Rocket launcher to destroy all the covers the enemy is hiding behind. 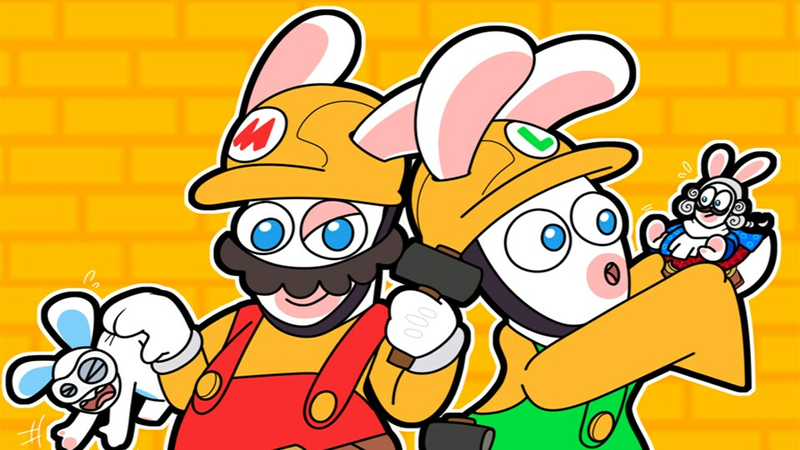 Then, activate Egg Beater and use Rabbid Mario’s Magnet Dance to lure the enemies into Yoshi’s line of sight and trigger a react. STOMP, DASH, AND CRUSH: Use the movement abilities of Yoshi, Mario, and Rabbid Mario to create destructive combos based on Dash and Team Jump. 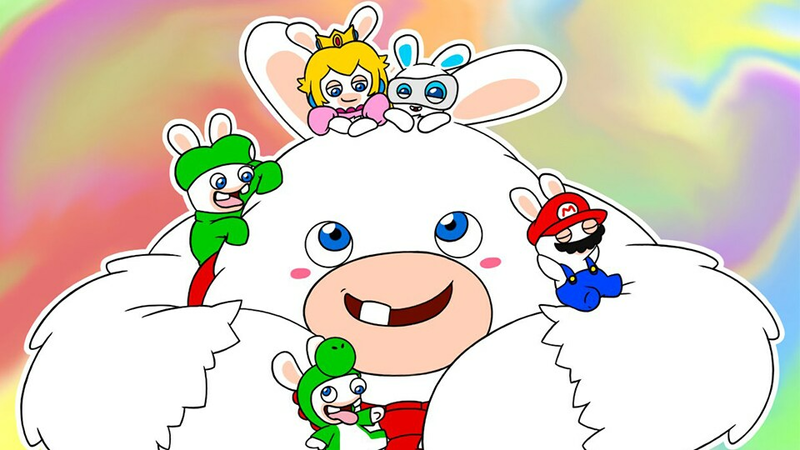 For example, unleash Rabbid Mario’s Boom Dash on a group of enemies, then place him near Yoshi so Yoshi can Team-Jump with Rabbid Mario and Ground Pound the same group. If some lucky enemies survived this first combo, finish them all with Mario’s Dash and Stomp Jump. SUPER CHANCE X MAGNET DANCE / SCAREDY X REACT ABILITIES: Activate Yoshi’s Super Chance and then your third teammate’s react ability. 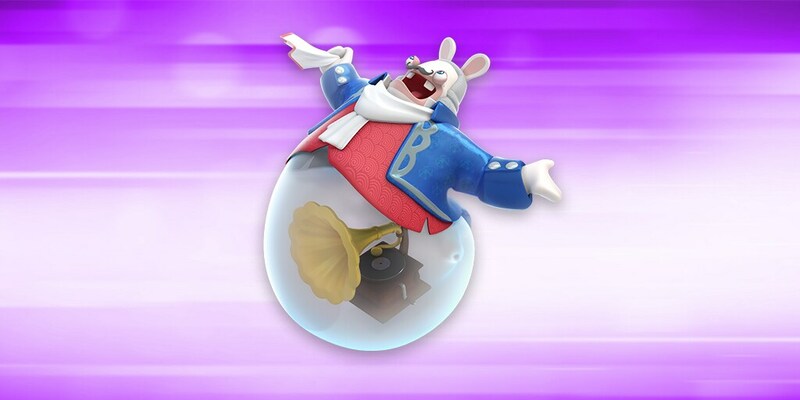 Then use Rabbid Mario’s Magnet Dance or Rabbid Yoshi’s Scaredy Rabbid to break the enemy lines and force them to trigger the react, which will have a 100% chance to deal a super effect.